Even in extraordinarily difficult circumstances, under pressure, people often manage to behave with great humanity. With all the drama in conflicted or violent situations, it can be easy to overlook this and to assume that everyone switches to a dog-eat-dog approach. 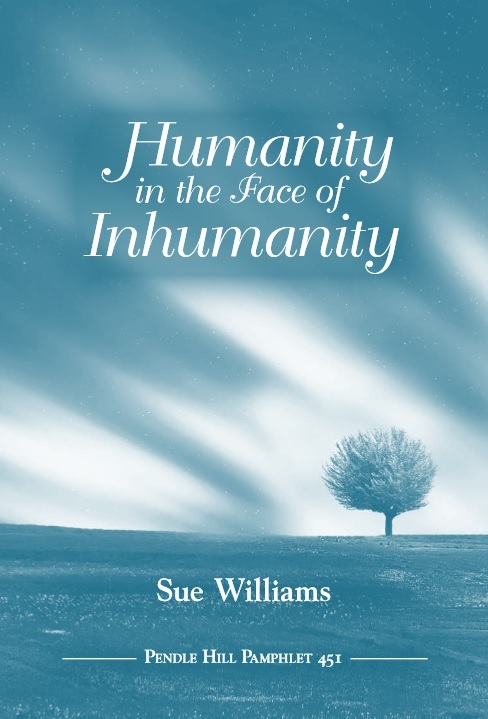 This collection of stories, drawn largely from the working life of the author in conflict transformation and mediation, illustrates a variety of examples of extraordinary humanity, which can show us that there is a place to stand and a way to be human in inhuman situations. And it can help us to notice examples of this around us. Discussion questions included. Sue Williams and her late husband, Steve, were representatives of Quaker Peace and Service (British and Irish Quakers) in the 1980s and 1990s in Botswana, Uganda, East Africa, and Northern Ireland. She later worked with Responding to Conflict, the University of Ulster, Collaborative for Development Action (CDA Collaborative Learning), Folke Bernadotte Akademy, Eastern Mennonite University, and as a consultant. Now a member of Roanoke Friends Meeting in Virginia, she was for twenty-five years a member of Ireland Yearly Meeting. These stories are drawn from experiences both with Quakers and with local groups working for peace in many countries.